He admits that he's used two or three of those lines himself. Took them a while to feel comfortable about using social media, feeling like the old guys in the brewing scene. Bread that can stay fresh for two weeks in a bag - over forty ingredients to keep it fresh, it's not even been baked but steamed and then sprayed to look baked! Same has happened to beer - its had so much stuff added thats it's not really beer at all! Moved to London and tried cask ale - brown, flat, warm - but enjoyed the variety of tastes that ales that Europe had to offer. Moved back to the USA in 1984 and found there was just US lager. Started brewing professionally since 1989 learning from Sam Smiths brewery. First to do colaboration brewing with Brakspear back in the 90s, more famously with Schnieder Weisse. Brewing is a very friendly industry, fellow competitors helping each other out. Was talking about beer ratings - they don't look at the beer ratings, they don't want to listen to the audience as they are the artist (as a brewer) who is trying to make something beautiful rather than for the audience. Are you going to change your beer based on the ratings or are you just after flattery? Did Bob Dylan 'focus grouped' his albums? Is talking about IBUs and original gravities making beer appealing? It might work for kindred spirits but does it work for the general public? Wine people still own the media. You don't see an acidity number on a bottle, or the tanning number - why? Because it's not delicious! We need to start talking about the flavours and tastes rather than the technical details of the beer. Never talk down to anyone about beer and beer styles, let them try anything and everything as you never know what they will like. What is craft beer? If there is a personal vision in what is going on (used Sierra Nevada as an example). 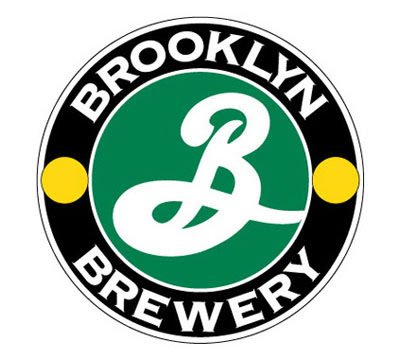 Brooklyn Brewery are trying to be the brewery that they have always wanted to be. It's taken him twenty years to start to be the brewer that he's always wanted to be. They make over twenty different beers a year, some are 'ghost beers' - limited edition beers of very limited release. Ended with a toast with Sorachi Ace saison - lemon peel and dill, nice spiciness, balanced, herbal funkiness at the end.